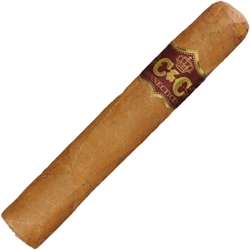 Each of these C & C Robusto Connecticut Cigars are handmade using carefully aged tobaccos from the Dominican Republic. They give an effortless draw with a perfect burn. If you’re looking for a premium line cigar at an everyday smoker’s price, try C & C Cigars today here at Smokers Discounts!